We were fortunate enough to be nominated for the first ever Best Travel Blog Award. If you like and feel we are worthy, give us a vote. But more importantly, visit the other sites and learn what other travel blogs are out there. The airline industry has had many changes, but the cutting of meals on the flights has had a major impact on the airport catering operations. The industry has had to re-trench and lay off thousands of employees. Interesting watching how an industry can change so rapidly. The drop in meal service has forced the caterers to re-trench. Worldwide employment at LSG Sky Chefs, a division of German airline company Deutsche Lufthansa, has tumbled 29 percent to 29,000 in five years. The number of kitchens it operates has dropped from 205 to 190. In the U.S. market, the number of airline meals prepared by LSG Sky Chefs fell by more than half from 2000 to 2004, the most recent period for which figures were available. Worldwide revenue at Gate Gourmet, meanwhile, dropped 34 percent from 2000 to 2004, to $1.85 billion. Gate Gourmet, owned by the private investment firm Texas Pacific Group, has cut its employment by more than 15 percent over the same period, to 22,000 today. The company also shuttered nearly a third of its U.S. kitchens. And in another effort to further lower its costs, Gate Gourmet last month secured a 6.5 percent cut in wages from its U.S. workforce. Another side effect of reduced in-flight dining is a spurt in sales at airport food concessions, as passengers stock up before boarding. With increased airport security prompting travelers to arrive hours early, there’s plenty of time to buy food. via IndyStar.com . 2006 is going to see a new wave of set jetting, as it is expect that there will be a tremendous amount of people traveling to see the locations the movie “Da Vinci Code” was filmed in. 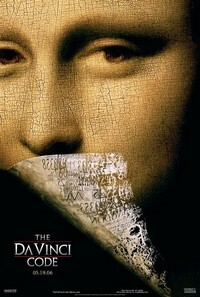 So much travel is expected between the England and France, Eurostar is a major partner with “Da Vinci Code”. Revealing its status as a global partner of the blockbuster film, due for release in May, Eurostar said it would work with the tourist industry in England, France and Scotland to promote travel between Britain and France. “Eurostar will work with VisitBritain, Visit London, VisitScotland, as well as Maison de la France, to encourage tourists to take their own Da Vinci Code trail and follow in the footsteps of the books hero Robert Langdon, played by Tom Hanks in the film,” Eurostar said in a statement. The Da Vinci Code delves into a series of high-profile murders behind a Vatican plot to conceal the true meaning of the Holy Grail. Much of the action takes place in London and Paris. The eruption of the Augustine Volcano has caused disruption for flights in and out of Alaska between Anchorage and Fairbanks. The ash plume makes it difficult to fly, and very dangerous to fly at night. Alaska Airlines canceled 28 flights on Friday, a major cargo carrier diverted flights from Anchorage to Fairbanks and the Alaska National Guard moved several aircraft out of the city Friday as Augustine Volcano sent ash plumes miles into the sky. 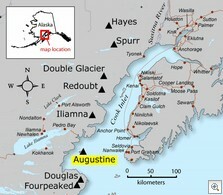 To learn more about the Augustine Volcano eruption, visit the Alaska Volcano Observatory. 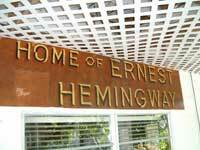 A landmark in the Bahamas has been destroyed, The Ernest Hemingway museum was destroyed by fire and the historic bar The Compleat Angler in the same fire. 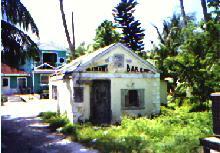 These structures were on the island of Bimini, and were frequented by Hemingway in the 1930’s during his many fishing trips to the island. The early morning blaze leveled the wood structure in Alice Town and destroyed photographs and Hemingway memorabilia, police said. The destruction of the tiny island’s biggest tourist attraction is the second major blow to hit Bimini in a month. On December 19, 11 residents were among 20 people killed when a Chalk’s Ocean Airways seaplane plunged into the sea in Miami’s shipping channel. The National Business Travel Association did a survey of their membership on the top stories for 2005. They decided bankruptcy was the top story, with hurricanes coming in second. In a swift and abrupt turnaround, United Airlines has scrapped a plan that would have turned over ownership of 15 percent of the newly issued stock to managers. This plan caused a huge upheaval of ill will to management by the line employees and would have been a bad precedent for future airlines coming out of bankruptcy. United Airlines has agreed to scale back a management stock-ownership plan and make other changes to its bankruptcy reorganization plan. The moves have won the support of the committee representing unsecured creditors, who Thursday withdrew their opposition to the strategy. The carrier originally proposed to give about 400 top executives and managers 15 percent of United’s new stock when it emerges from Chapter 11, then scaled that back to 11 percent before finally agreeing to 8 percent. The management compensation proposal was among the issues that threatened to delay United’s exit from bankruptcy protection. The committee unanimously backed the revised plan, said Fruman Jacobson, the unsecured creditors’ attorney. Chicago Tribune | United reduces stock payments to management . Delta is following through with their plan on International expansion announcing a big push into Mexico. The combination of increased tourism and business travel makes this a smart move for Delta. • Atlanta to Acapulco (April 5), to Merida (Feb. 26) and to Zihuatanejo/Ixtapa (April 12). • Cincinnati to Cancun (June 1) and to Los Cabos (Feb. 18). • Los Angeles to Cancun (June 3) and to Zihuatanejo/Ixtapa (April 15). • Salt Lake City to Mazatlan (March 8). First of all, congrats to Megg Mueller at the Hotel Hotsheet over at USA Today. Beautiful layout and an outstanding site. Congrats! Holiday Inn Select hotels is looking to further entice Gen-Xers by appealing to the iPod crowd. Wait. That’s just about everyone, isn’t it? Anyway, the brand is putting the iHome iH5, an all-in-one docking station, charger and clock radio, into its guest rooms. Go visit the post and take a look at the clock. I have one like it next to my bed, and it is outstanding! Bet Holiday Inn Select will be willing to sell you one too, if you are lucky enough to be at a property that has it. It looks like the Hurricane Katrina has hurt another segment of the New Orleans tourism business as the steamboat cruise business is still hurting. 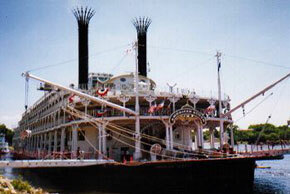 Typically New Orleans is the starting or the end point to the Mississippi cruises. That is a large amount of hotel rooms that will not be filled during 2006. The vessel has been privately chartered through January, and possibly beyond that time, according to Delta Queen President Bruce Nierenberg. The company said in a statement that it has seen strong positive momentum in bookings” in recent months and hopes this trend continues. But it is apparent that the upriver itineraries would have a difficult time supporting a three-boat operation” for the whole 2006 operating year.